First, let’s find the difference between Customer Support and Customer Success. Seems like you need to improve your customer service. Probably you want to transfer your product-centric organization to customer-centric. Therefore, you should read the presentation to find what is customer success and how finally can build it (move with the arrows or click “in”). If after reading you still have questions, it’s time to contact me. The next step is to consider the main customer touch points you want to develop. Whether they will be physical or digital. You need both actually. You need to develop Website with online contact forms and automated self-search areas, Mobile apps and others web tools but definitely, the customer will always need an individual approach and a human being touch. 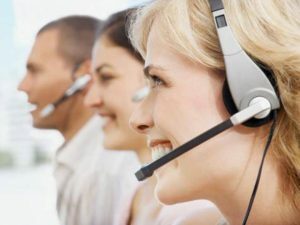 That’s why one of the most important tools for serving your customers is the Contact center. It could be just phone calls organizing or a knowledge-based center. The second type is better but harder to set up. Click on the picture to find some proposals or contact me for further help. Which are the big rocks in your day?